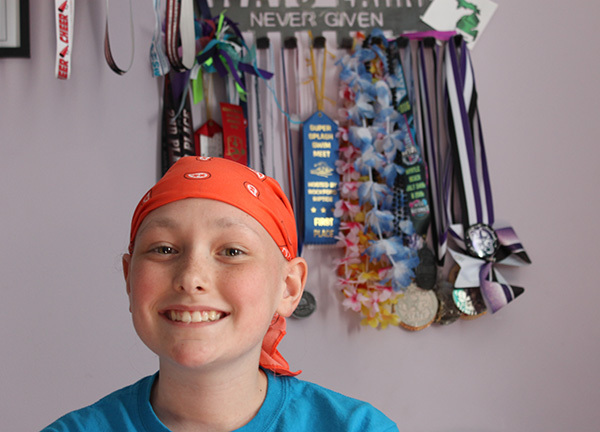 Tag Archive | "cancer treatment"
Eleven-year-old Tegan Rose is being treated for cancer and needs O-negative blood—a rare blood type. She’s had to wait for a life-saving blood transfusion due to lack of area donations. For many, St. Patrick’s Day is a day to celebrate Irish heritage. 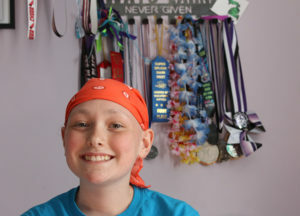 For Tegan Rose, of Spring Lake, March 17, 2017 was the start of her cancer treatment. She turned 11 years old two days later. 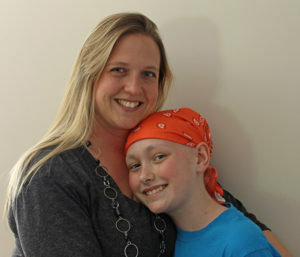 Tegan is now in remission, but has to undergo chemotherapy over the next year or two. And with that comes a need for blood, a sometimes difficult task because of her blood type: O-negative. People with that blood type can only receive O-negative blood, and because only nine percent of Michigan’s population has that blood type, it’s been an issue for the preteen. Tegan Rose and her mother Angela. “We were at the hospital and Tegan needed blood, but we had to wait for someone to drive it over from Detroit,” said Angela. Unfortunately, summer is a time when blood donations are at their lowest – there is currently a critical need for O-Negative blood donations. That’s why Michigan Blood is working to get enough donations to help people just like Tegan. Anyone with O-Negative blood who donates twice between July 10th and October 31st will be entered for a chance to win a YETI cooler filled with Michigan-made merchandise. What’s more, because O-Negative is the universal donor, their blood can go to help save people across Michigan – including Tegan. Michigan Blood is the primary provider of blood and blood products for more than 60 hospitals in Michigan, including Spectrum Health, Metro Health University of Michigan Health, and Mercy Health St. Mary’s. Donations given outside of Michigan Blood do not have direct local impact. Donating blood with Michigan Blood helps save the lives of patients in Michigan hospitals. Any healthy person 17 or older (or 16 with parental consent) who weighs at least 112 pounds may be eligible to donate, although females age 18 and under must weigh 120 pounds or more. Blood donors should bring photo ID. To schedule an appointment, please call 1-866-MIBLOOD (642-5663) or schedule online at https://donate.miblood.org.